Russell and Hill provide expert lawyers to help win your personal injury case, we can help you navigate all the legal mess that comes with your case. If you have been hurt in an accident in Lake Stevens that has resulted in personal injury for either yourself or a family member, you can get help from one of our aggressive, experienced personal injury attorneys. Whether you were driving a car, truck, semi-trailer, motorcycle, bicycle, scooter, or only a pedestrian, our attorneys can help you obtain compensation for your injuries. If you were injured at sea, or aboard a ship our Maritime Personal Injury Attorneys can help you navigate Maritime Law and The Jones act. 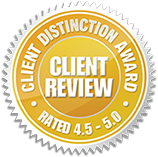 Our experienced personal injury attorneys serve clients in both Washington and Oregon. We have office locations in Everett, Spokane, Vancouver, and Portland. Contact Russell and Hill, PLLC by filling out our free personal injury evaluation form to schedule a free initial consultation. At Russell and Hill, PLLC, our Lake Stevens personal injury attorneys have represented thousands of individuals who have sustained injuries due to a personal injury accident. We are committed to helping accident victims and their families get the compensation they need in order to pay for their medical bills and property damage. Our goal as your legal representatives is to help you obtain full and fair compensation for all your personal injuries and losses, including hospital bills, current and future medical needs, lost wages, pain and suffering, and if you have lost a loved one, wrongful death. The term ‘personal injury’ is used to describe physical and mental injuries that occur because of someone else’s negligence, intentional actions, or strict liability. Most personal injury cases are due to the negligence of another. At Russell and Hill, PLLC, our Lake Stevens attorneys seek compensation for those injured due to any of the above causes. Our Lake Stevens personal injury attorneys work closely with each of our clients, carefully investigating and documenting every aspect of their personal injury accident. 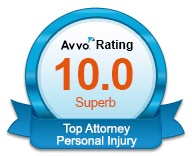 We assess all client injuries, all current and future medical costs, and all other losses. 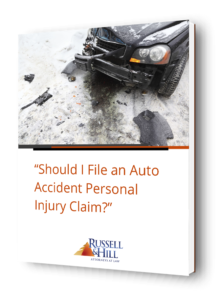 The attorneys at Russell and Hill, PLLC, augment our experience and legal knowledge by partnering with personal injury experts to prove every case. Some examples of these partners include accident scene reconstructionists, property damage evaluators, and medical professionals. Our partners help us to examine skid marks, assess damaged property, and offer medical opinions on necessary treatment and expected recovery time. Where appropriate, we also work closely with vocational experts to understand how the accident has limited our client’s ability to work. 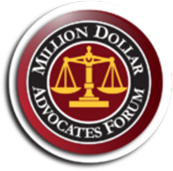 All of these resources and data collection allow us to understand and demonstrate exactly what caused the accident and who was at fault, information that will also be relevant in SSDI proceedings. Our Lake Stevens clients may expect to recover personal injury monetary damages for all their losses and expenses incurred as a direct result of their personal injury accident, whether the injury was due to negligence or intentional harm. The final amount of compensation will be determined through a settlement or a judgment. After our personal injury attorneys have completed the investigation regarding the cause of the accident and have assessed our client’s personal monetary damages, including medical costs and property loss, we will present your claim to the insurance companies for compensation. We will then negotiate on your behalf to ensure full and fair compensation. If a fair settlement cannot be reached, which is unlikely, we are experienced and aggressive trial attorneys who are more than ready to present our client’s case to a jury. If you have been injured or have lost a loved one due to a personal injury accident in Lake Stevens, contact Russell and Hill, PLLC. Our experienced personal injury attorneys offer free consultations for all of our Lake Stevens clients. Fill out our free personal injury evaluation form or call to schedule a free consultation.